The best collection of dinosaur cupcakes for your boy birthday party. 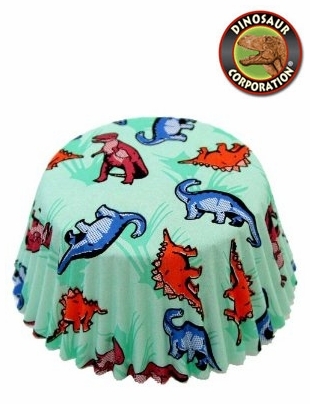 Dinosaur baking muffin cups are made and packaged in the USA. Food safe printed colors.